We've seen this story before. All-you-can-eat Dim Sum was a thing back in the 90's at a restaurant on Broadway upstairs (Top Gun?). It didn't last long though and we haven't really seen it again since. Well, not until now... 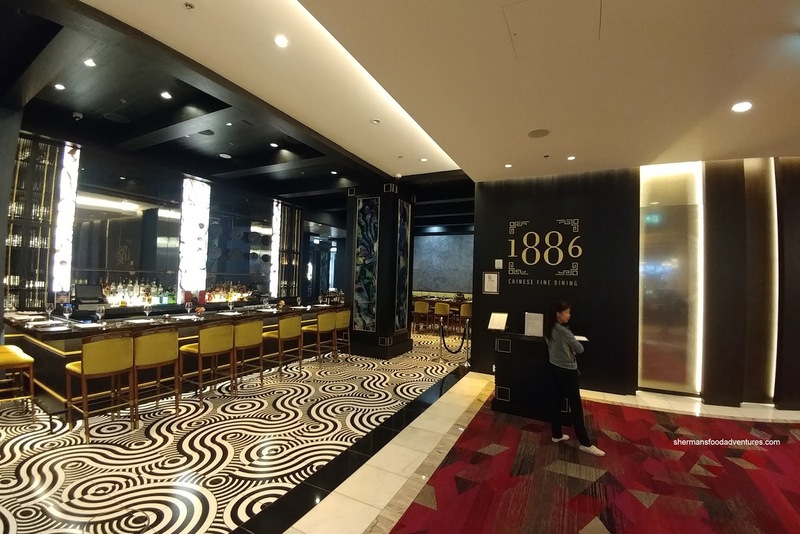 The upscale 1886 in the Parq Vancouver next to BC Place surprisingly is offering AYCE Dim Sum for $38.88. Factor in that most of the dishes there are around $10.00, the price tag for the AYCE doesn't seem all that outrageous. With that in mind, JuJu declared we should try it out, so we rounded up the gang including Milhouse, Kaiser Soze, Dre and Ro. 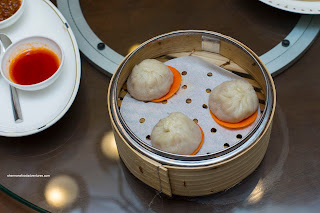 We got right down to business and ordered all of the steamed items first starting with the Shanghai Pork Soup Dumpling with Lobster Bisque. Although the dumpling skin was a touch thicker and doughy than I would've preferred, the strong lobster aroma made up for it. It was very tasty and impactful with an umaminess that was complimented by the sweet and tender pork. There was plenty of soup that really did taste like a bisque. 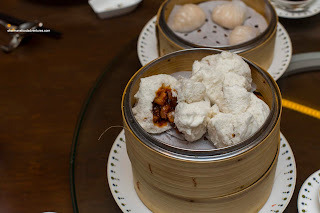 Of note, the second time around, the dumpling skin was thinner. Next, the Scallop Dumpling with Black Garlic featured a medium-thick skin that had nice elasticity. It was full of scallop that was buttery, sweet and lightly briny. There was a certain aromatic umaminess from the black garlic that was not overpowering. Mixed in with the scallops were bits of crunchy veggies. 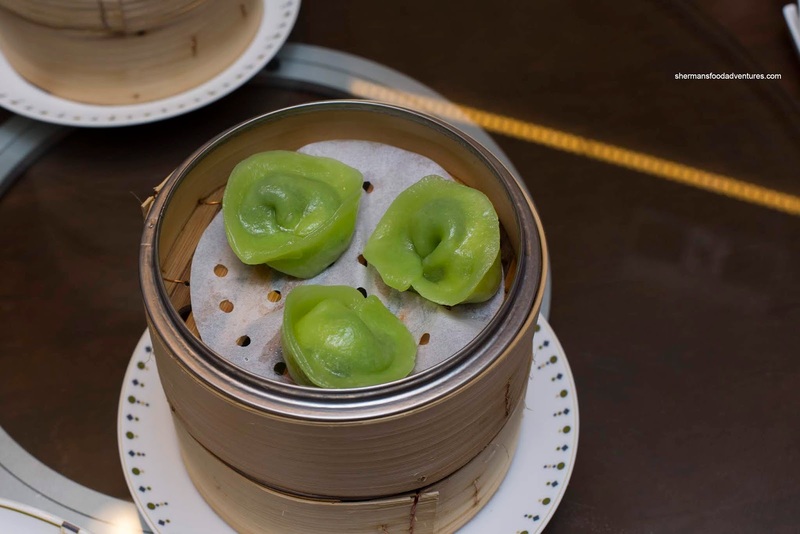 Even by visuals alone, we were concerned with the thickness of the dumpling skin on the Spinach Seafood Dumpling. After one bite, it was confirmed as it was doughy. However, it still exhibited elasticity and rebound, so it wasn't all a loss. Inside, the spinach was tender and didn't become mushy. The seafood (mostly shrimp) was on point having a moist snap. The flavour profile trended towards sweet rather than savoury, but was still balanced. 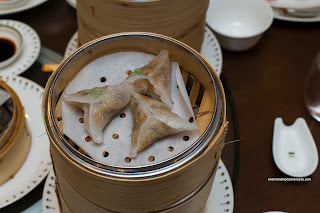 We ended up ordering the Vegetable Dumpling just because we could say we ordered everything from the menu. Turns out it wasn't just a throw in. 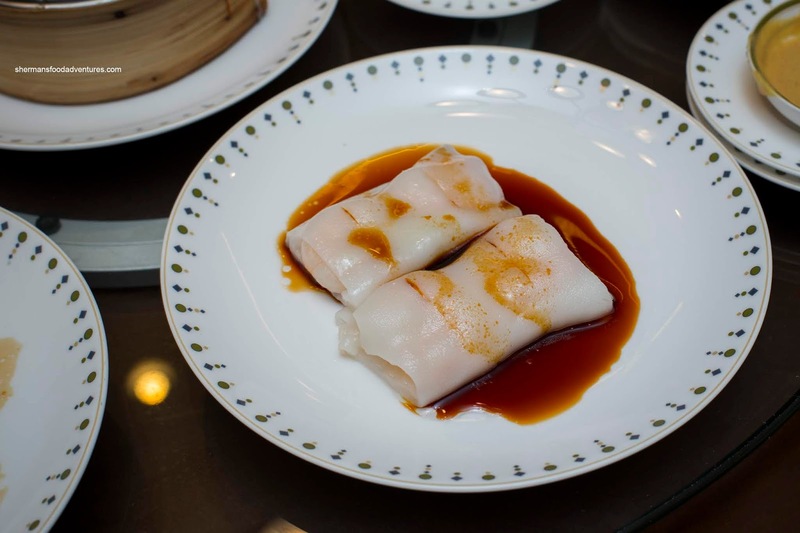 Sporting a relatively thin glutinous wrapper, the dumpling ate well with tender, but not overcooked veggies. I wasn't a fan of the peas though as they were chalky. The dumpling ate mildly sweet with a background pepperiness. We found the Ha Gau (Shrimp Dumplings) to be pretty textbook. They were on the smaller side, but since it was AYCE, who cares? 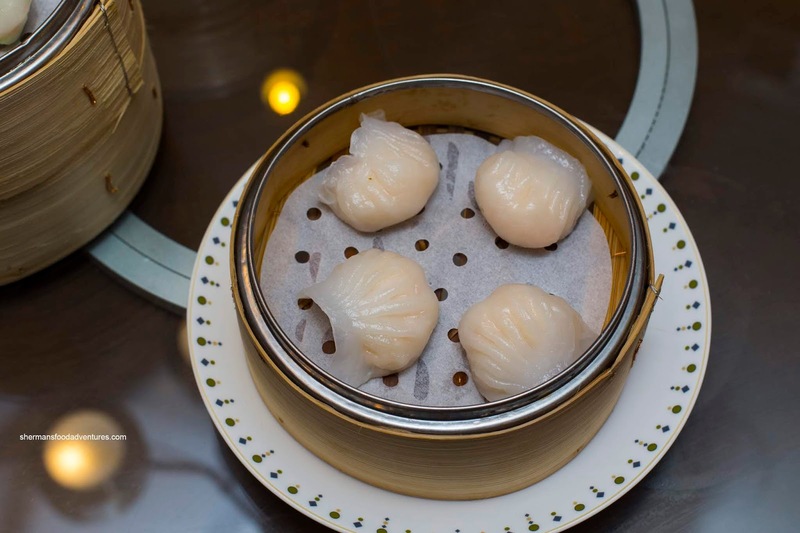 We thought the dumpling skin was just the right thickness and texturally, it wasn't too soft while retaining a chewiness. Inside, the shrimp filling was sweet and buttery. It was a touch on the saltier side, but it didn't cross the threshold where one would actually say it is salty. 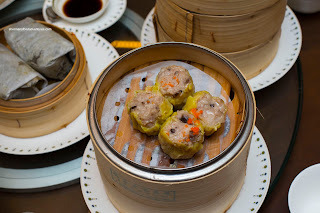 As for the Siu Mai (Pork & Shrimp Dumplings), they were on point. Buttery and bouncy, the pork was perfectly textured while the amount of shiitake ensured variance in flavour and umaminess. I thought the seasoning was bang on where it was impactful without being oversalted. Okay, here we go with the dud of the meal. 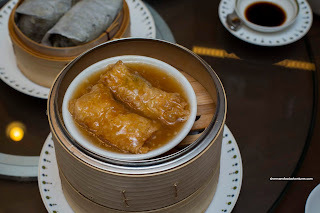 The Bean Curd Skin Roll with sea cucumber, enoki mushroom and shrimp could've been good. However, the goopy sauce killed the dish. There was far too much of it where the rolls literally drowned in it. Furthermore, there was so much starch, the sauce could be picked up with chopsticks. As for the roll itself, the bean curd skin had a bite while being tender. Having quality ingredients as the filling was a plus too. 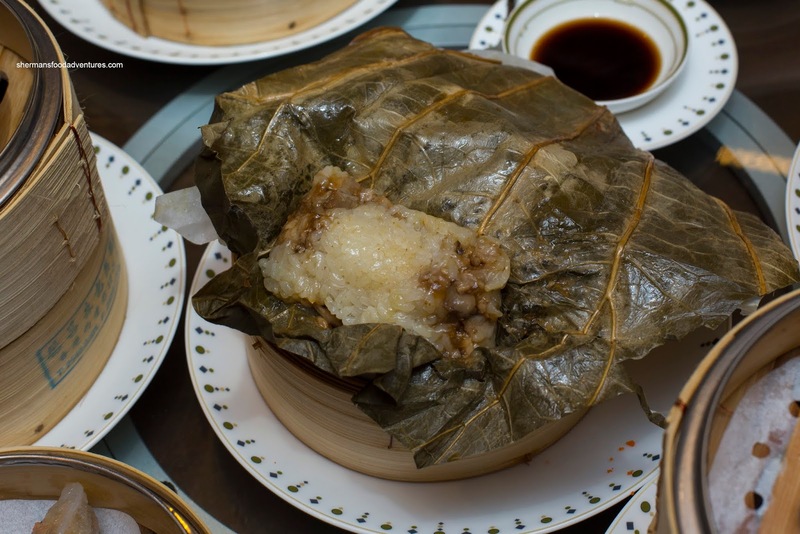 One of the more standard items was the Lotus Leaf Wrapped Chicken, Pork and Glutinous Rice (Lo Mai Gai). By no means was it bad, in fact, it was very good. The rice was nicely textured while not being too mushy while the meat was plentiful and tender. Onto the Rice Noodle Rolls, we tried them all including the BBQ Pork, Prawn and Mushroom Trio (not pictured). Texturally, the rice noodle was quite good. It was soft and buttery. I would've liked to see more elasticity, but it didn't make or break the dish. I wanted to like the BBQ pork rice noodle roll, but there was just too much cilantro for my tastes. This was purely subjective as many at the table loved it. Surprisingly good, the mushroom trio consisted of enoki, shiitake and straw mushrooms. It was woodsy and was chock full of filling. However, the best of the bunch was the prawn since they were large and beautifully textured. 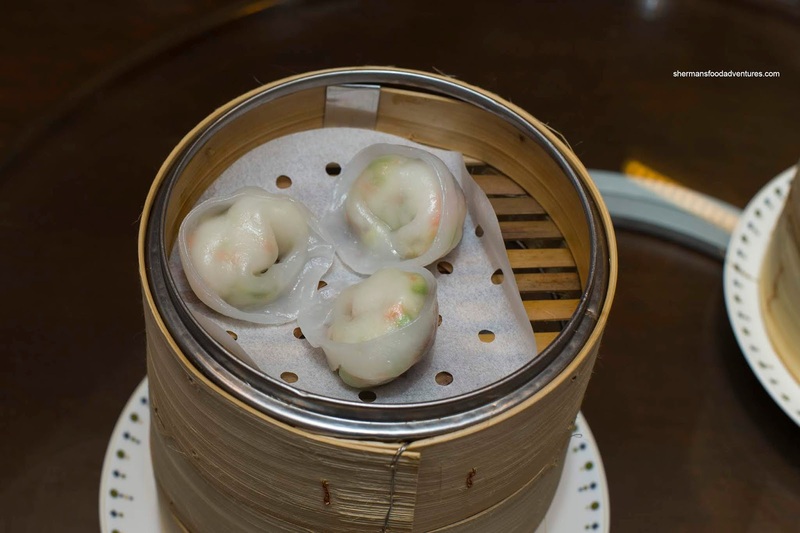 Meaty with a sweet and aromatic snap, the prawns were the right textural contrast to the soft rice noodle. We also got the trio of steamed buns including the BBQ Pork Bun, Chicken & Ginger Bun (not pictured) and the Egg Yolk Bun. Consistent throughout, the buns were fluffy and airy. There was just enough moisture where the bun came cleanly off the parchment paper on the bottom. 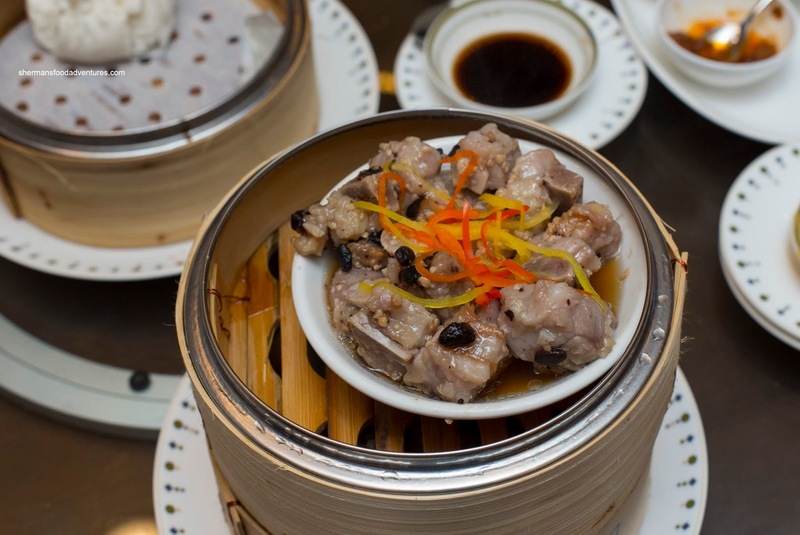 Meaty and lean, the BBQ pork was sauced with a sweet and savoury glaze. However, I much preferred the chicken bun as the meat was super moist and tender with the bright and sharp taste of fresh ginger. 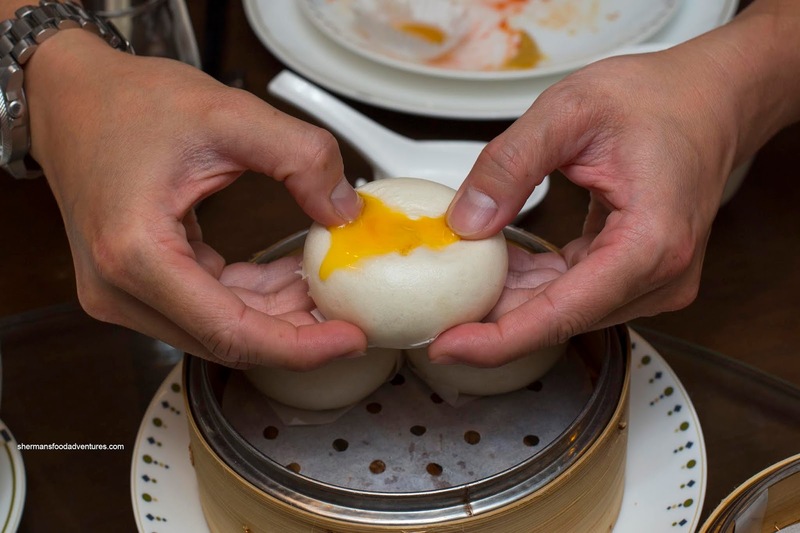 If you look at the picture of the egg yolk bun, Dre couldn't split the bun successfully since it was super hot and pretty runny. 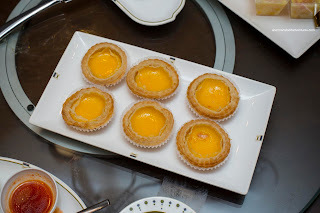 It did taste good though with just enough sweetness and the unmistakable salted egg yolk finish. It was interesting how the menu didn't have beef meatballs nor phoenix talons, but at least they had Black Bean Spareribs. This was one of my favourite dishes as the texture was on point. There was a butteriness to the meat, yet it still had a bite with plenty of rebound. I found the pieces to be mostly meat and rib portions. There was plenty of seasoning that was a nice balance between garlickiness and saltiness from the black bean. Mijune, who was sitting nearby, remarked that the dish they had was pretty fatty. 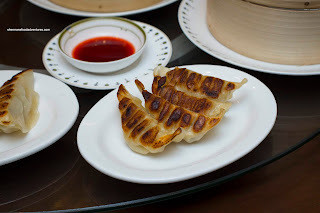 One bonus item was the Potstickers as we were served them despite it not being on the menu. These were also good with thin delicate dumpling skin. It was uniformly seared where the filling was succulent and peppery. 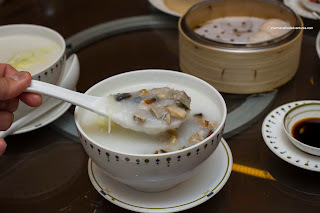 As much as we normally do not tend to order congee during Dim Sum service, we were dedicated to trying the whole menu. Hence, we got both the Preserved Egg & Salted Pork Congee as well as the Seafood Congee. The reason why we tend to shy away from congee is that it is viewed as a filler. So for this case, we only got one bowl each. Turns out it was a nice departure from everything else as we were getting pretty full. The broth was semi-thick and had a "home-style" quality to it. It wasn't inundated with MSG nor salt. Therefore, it ate very light. With that being said, they didn't skimp on the ingredients as you can see in the picture. We liked how they diced up the egg into small pieces since we got an equal bite in each spoonful. 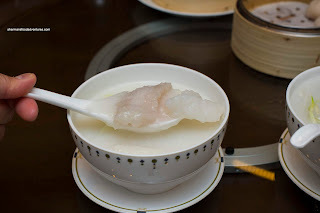 The seafood congee was mostly fish with some shrimp and scallop. It was cooked just enough so that the seafood was the right texture. For our next round, we got more of the aforementioned dishes, but also added the baked and fried items (which we ordered by the piece). 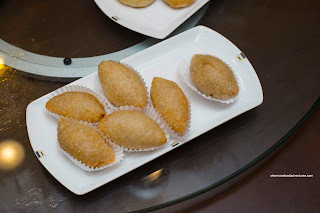 I absolutely loved the deep fried Minced Pork Dumplings (Ham Sui Gock) as they were super crunchy with only a thin layer of glutinous rice. Inside, the pork filling was plentiful, lean and well-seasoned. Moreover, the dumpling was not greasy as it can usually be. On the other hand, the Duck & Mashed Taro Puff (Wu Gock) was a little oily on the bottom. That is pretty normal as taro can soak up oil like a sponge. I found it a little dense due to the amount of filling, but that wasn't necessarily a bad thing because the duck was quite tasty. 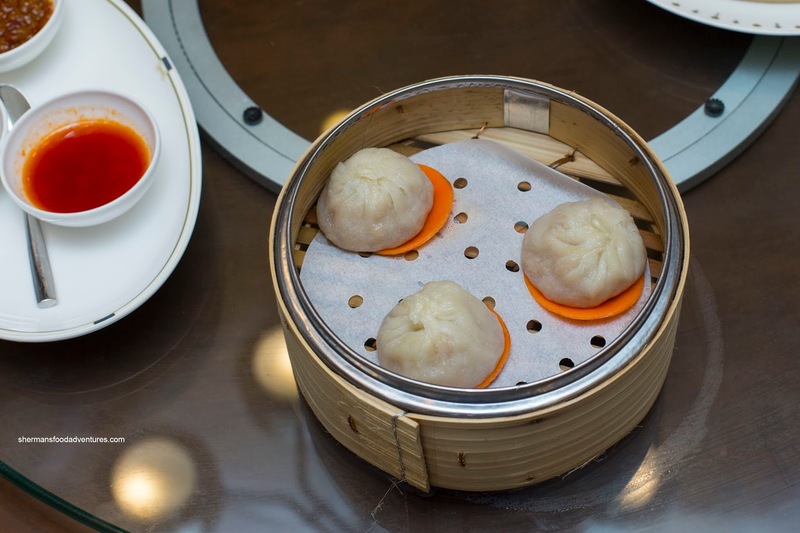 The aforementioned 2 items are generally pretty standard offerings for Dim Sum, but the next 2 were more unique. I really enjoyed the Signature Crispy Chicken & Mushroom Pastry as it was aromatic and crispy. Inside, the chicken was super tender and moist. The addition of mushrooms added another layer of flavour. The whole thing was served hot, so all the flavours were activated. Next up, the Black Pepper & Angus Beef Cake was also served hot out of the oven. The pastry was flaky and buttery while combined with the filling, it was a touch dense. The ample amount of beef was tender and moist while the pepperiness was actually rather mild. 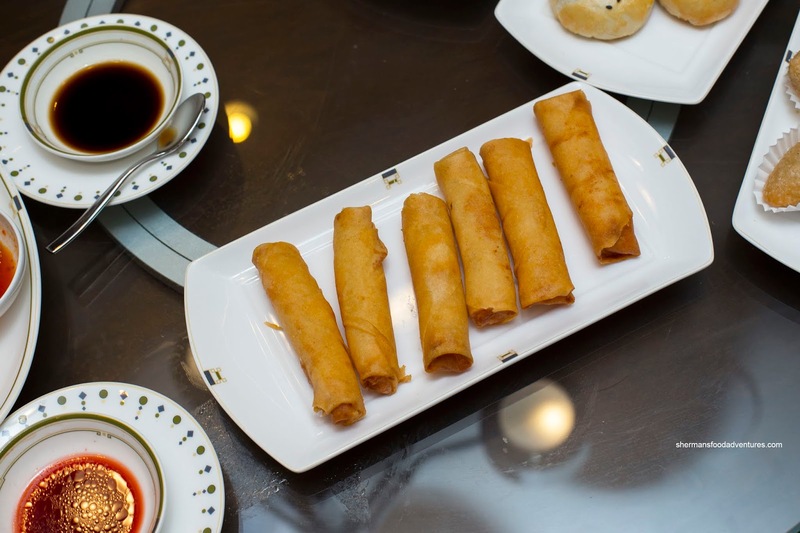 Back to the regular, the Crispy Shrimp Spring Rolls lived up to its namesake. 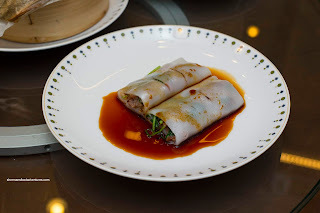 Wrapped tightly, the rolls were firmly crunchy while not greasy. I personally like them a bit more loose, but that wasn't a huge problem. The shrimp filling was once again buttery with a sweet snap. It was well-seasoned, yet I could still taste the natural essence. 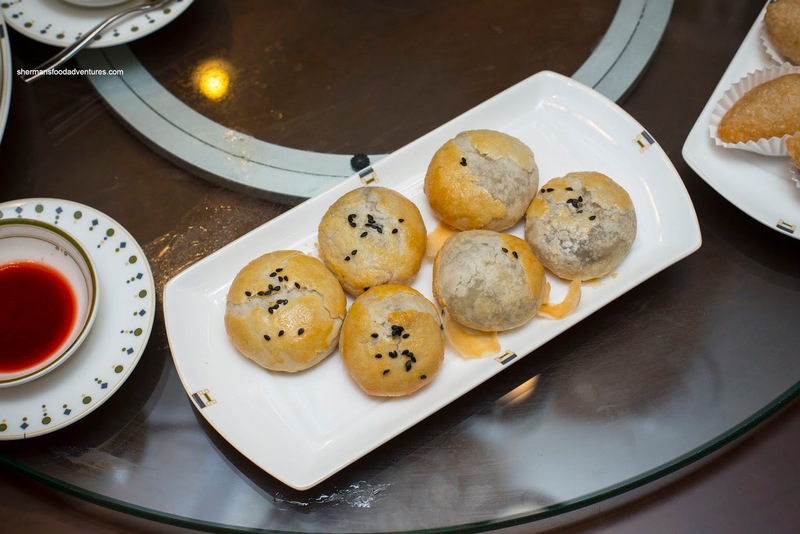 Cute as button and small as one, the Pineapple Buns were a table-favourite. Although a touch dense, due to their small size, the buns were aromatic and nutty from the lard (yes, lard). On top, the sugar flour crust was sweet, but restrained. It was also aromatic and caramelized. We also ordered all the desserts including the refreshing Chilled Mango Sago Cream with pomelo. 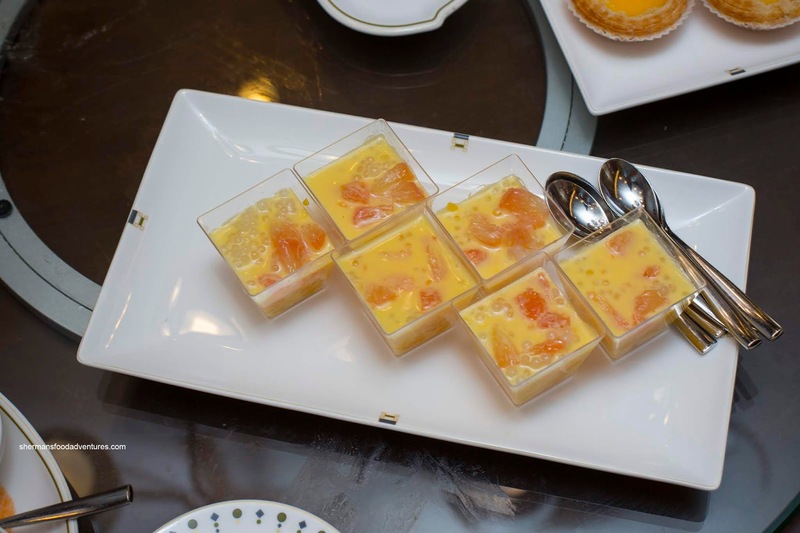 This was classic in its preparation with a semi-sweet creamy mango "soup" mixed with mini-tapioca pearls, fresh mango bits and of course pomelo. The result was a tangy and sweet concoction that was a nice break from the savoury items. On the same theme, the Mango Pudding absolutely killed it. 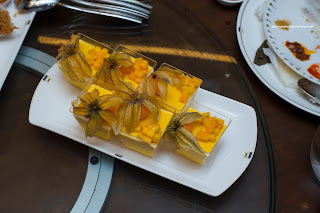 Unlike cheaper versions, this mango pudding was creamy, rich and tasted like fresh mangoes, there was an aromatic tang from the bits of mango that made this refreshing. When it arrived, I was a little concerned with the Egg Tart's appearance. They looked a bit shriveled and dry. Well, that was somewhat true as the edges of the custard were gummy and not silky. However, the middle was good while being sweet with a coconut finish. As for the puff pastry tart shell, it was buttery and nutty. Texturally, it was flaky and light. Trying to be a bit different, they mixed the usual Coconut Pudding with a layer of red bean pudding. The result was a contrast in both textures and flavour. 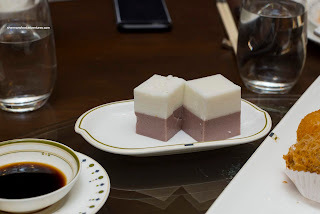 I found the coconut pudding to be mild and smooth while the red bean pudding to be somewhat gritty with more body. 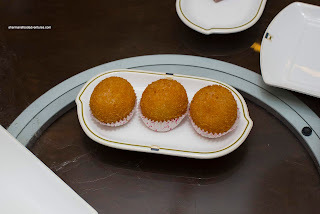 Our last 2 desserts and dishes in general was the Deep Fried Durian Pastry and the Crispy Sweet Potato Puff. 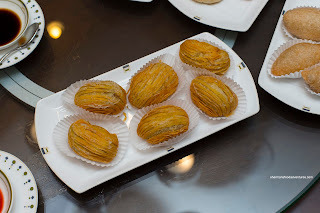 With the unmistakable smell of durian, the pastry was crispy with a strong hit of creamy durian. Dre really enjoyed it, but Kaiser Soze thought it was too strong. 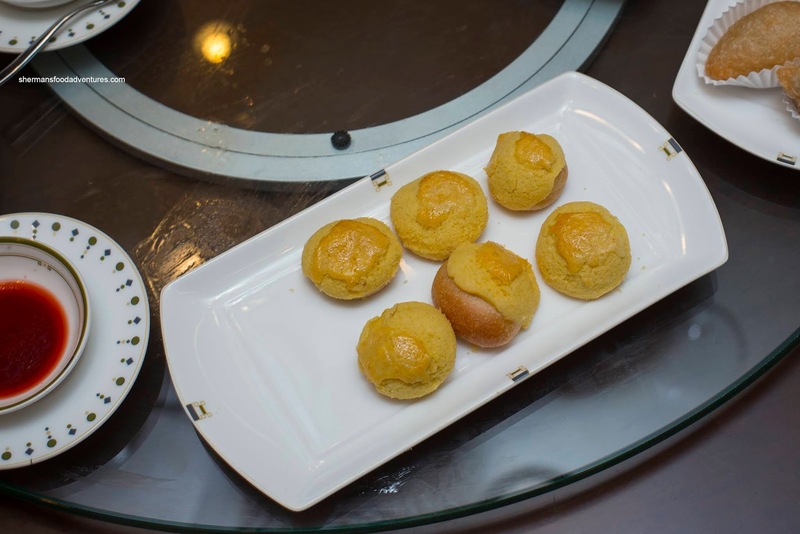 Lastly, the potato puff was really a fried sesame glutinous ball with potato and salted egg yolk filling. 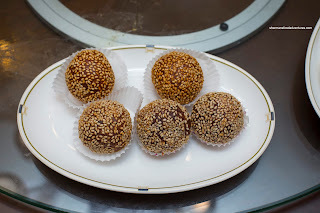 In a reversal of ingredients, the glutinous exterior was spiked with red bean (normally, the filling is red bean paste). 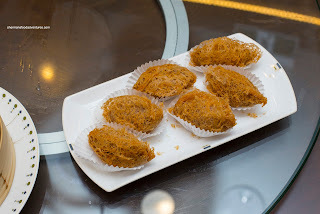 This was aromatic and lightly crispy on the outside while the filling was starchy and semi-sweet with an salted egg finish. As you can ascertain, we were quite impressed with the overall quality of the Dim Sum at 1886. Sure, their a la carte pricing is overpriced, but the AYCE deal is actually reasonable in our books.